On Wednesday 8 October, the MAMA team, including CEO Mark Fraser; General Manager Paul Singer; John Fraser and Phil Singer, visited the Alola Foundation (Fundasaun Alola) in Dili to get an update on the MAMA Mobile Library project.In a meeting with Alola’s Chairwoman, Kirsty Sword Gusmao; CEO, Alzira Reis; and the Education and Literacy Program Manager, Ema de Sousa, the outreach and impact of the Education Resource Centre program were discussed. Since the launch of the MAMA Mobile Library in February 2013, the program has directly benefitted a staggering 30,000 children (comprising 52% girls) in 13 districts. The MAMA Team and Alola Foundation staff at the Alola Headquarters. The library is a transportable facility containing comprehensive resources and delivering educational programs for teachers and students in the pre-primary and primary age group. In partnership with the Ministry of Education, the MAMA Mobile Library visits urban, rural and remote schools and communities to introduce early literacy and reading concepts. After the discussion at the Alola Headquarters, the MAMA team visited the mobile library in action at Tuana Laran School. 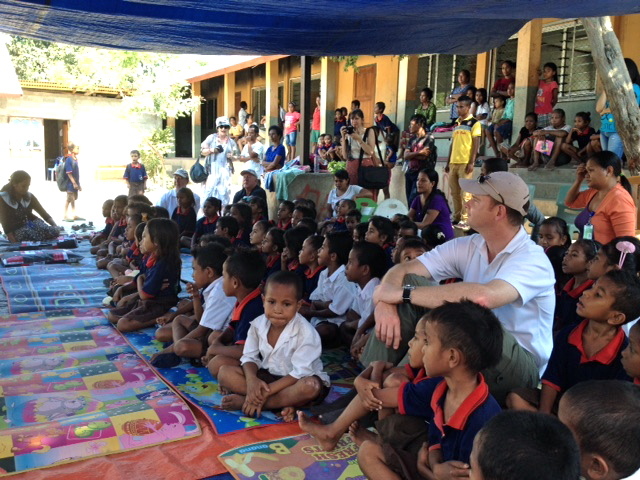 Mark, Paul, John and Phil joined one of the classes to observe a reading session for 50 children aged 6-7 years. The students participated enthusiastically and were deeply engaged in the library’s reading program. After the structured session, the children were able to enter the library to borrow age-appropriate books written in Tetum language. Generally, the mobile library remains in a community for a week, enabling the children to attend a number of reading and activity sessions and borrow multiple books. The outreach program also provides parents advice and assistance on how to implement literacy-building skills at home. 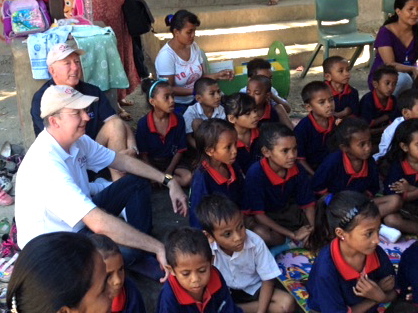 Mark Fraser and John Fraser enjoy participating in the MAMA Mobile LIbrary class with children at Tuana Laran School. 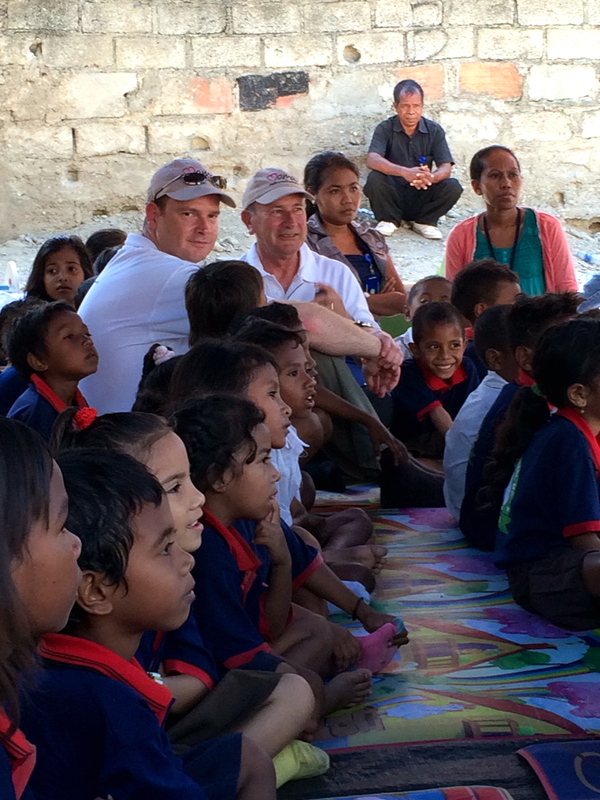 Paul Singer and Phil Singer with the children of Tuana Laran School at the MAMA Mobile Library. Paul Singer with the children during one of the MAMA Mobile Library literacy lessons. 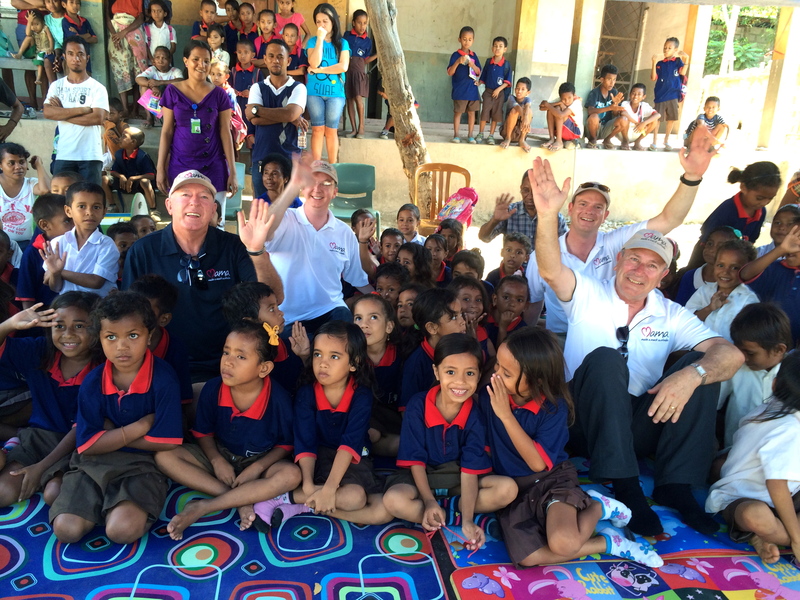 John Fraser and Mark Fraser with the children of Tuana Laran School at the MAMA Mobile Library. During the visit, the MAMA team donated some additional library bags, art and craft supplies and some sporting gear. 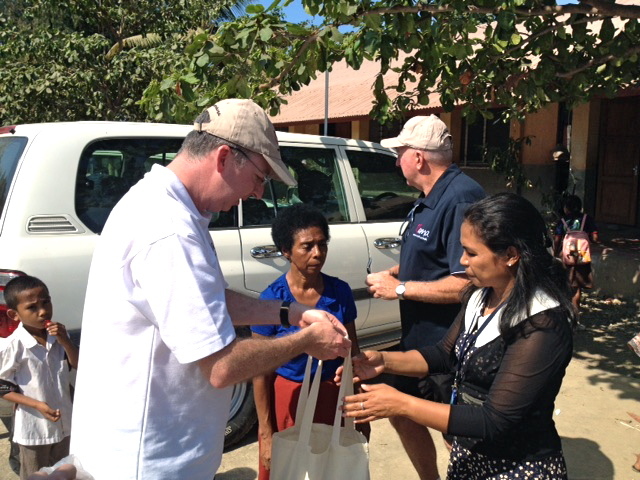 Mark Fraser handing over a sample of the art and craft supplies donated by MAMA to the Alola Foundation. 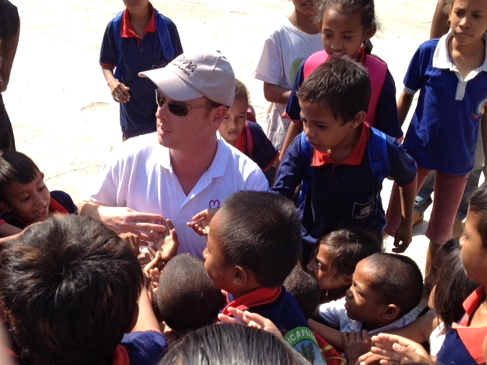 Paul Singer with the children at Tuana Laran School. 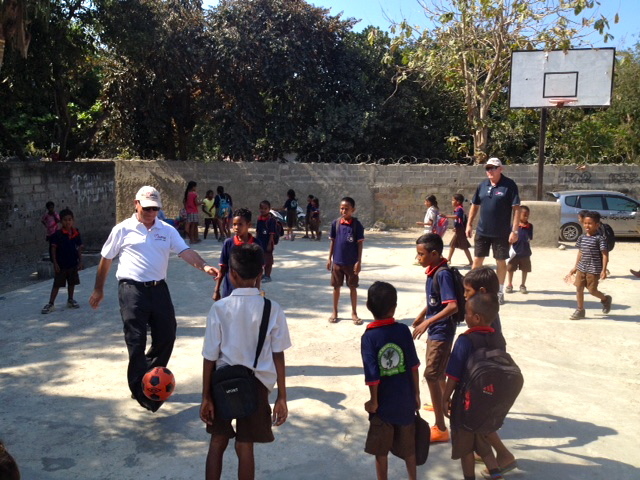 After the reading and literacy activities, there was some time for Mark, Paul, John and Phil to connect with the children over a game of soccer. 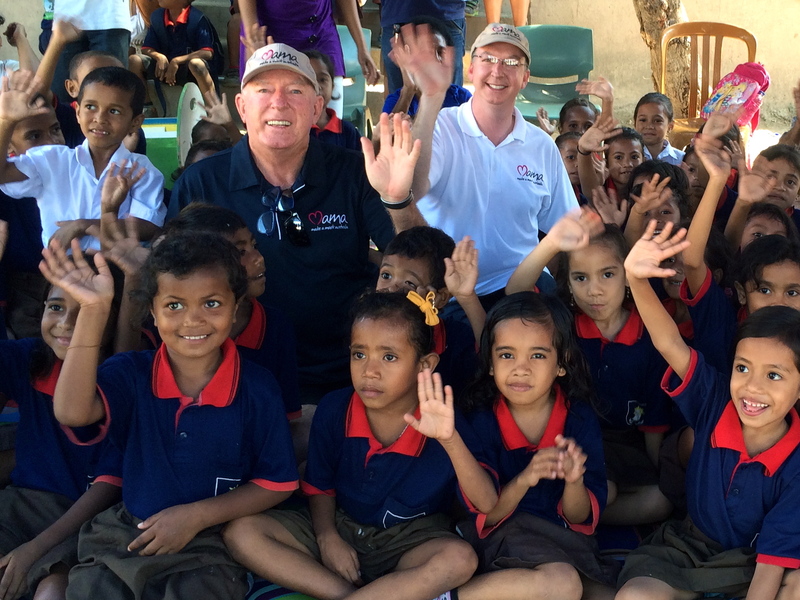 Phil Singer and John Fraser having a kick with the boys at Tuana Laran School. 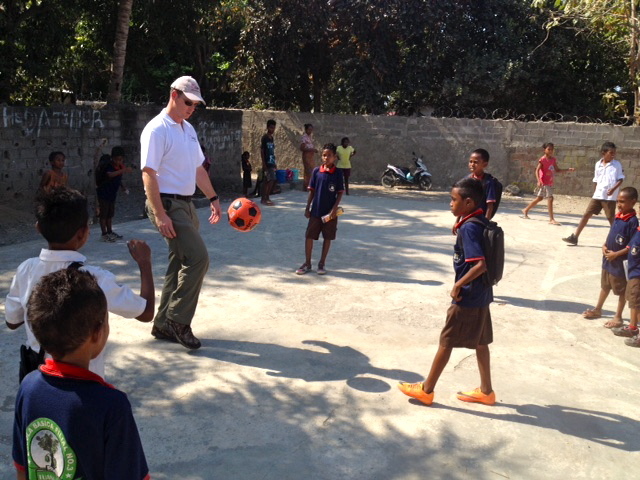 Paul Singer enjoys a game of soccer with the children at Tuana Laran School. 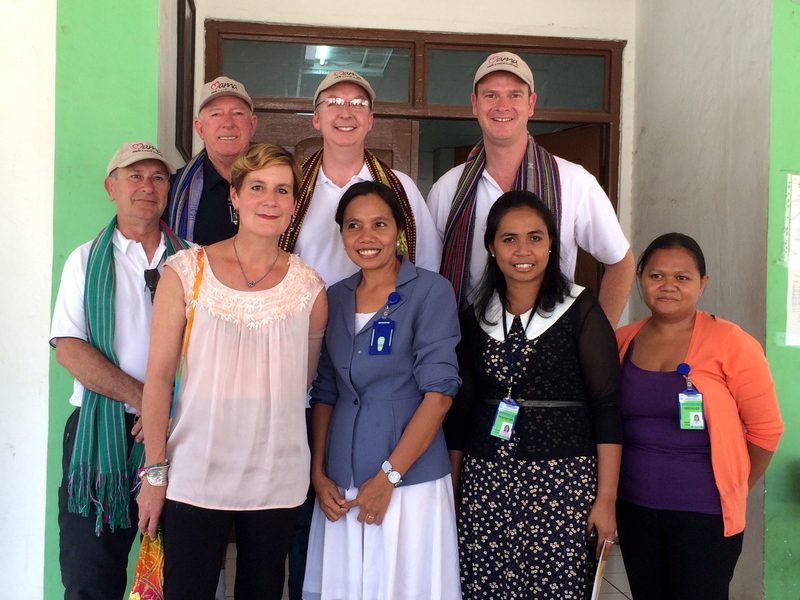 MAMA values our partnership with the Alola Foundation and looks forward to exploring other opportunities to empower the children of Timor Leste through improved access to education. John Fraser, Mark Fraser, Paul SInger and Phil Singer at the MAMA Mobile Library. 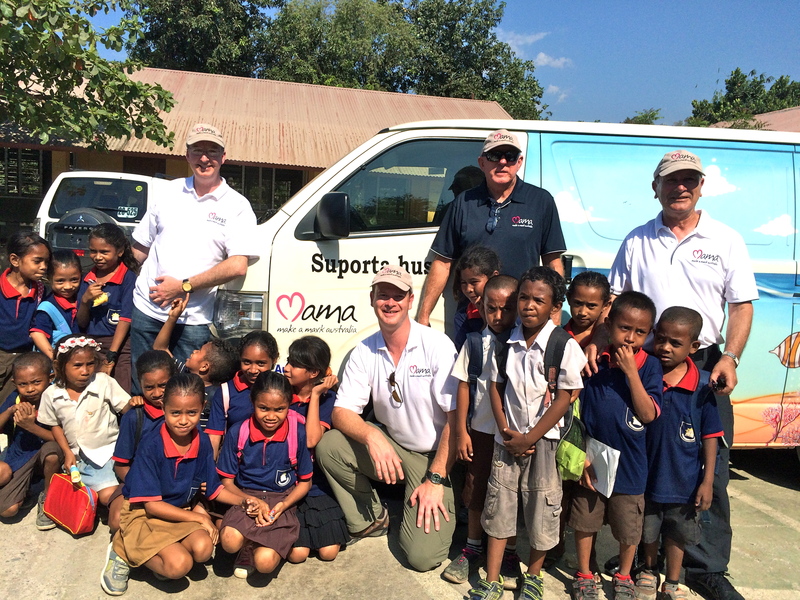 Mark Fraser, Paul Singer, John Fraser and Phil Singer in front of the MAMA Mobile Library which has reached 30,000 children in its first two years of operation. ← MAMA classrooms taking shape in Honiara!